When I posted an image labeled "Casa Susanna" in The Femulated slot on Tuesday, Linda e-mailed me asking about the story behind the image. Casa Susanna was basically a bed and breakfast for crossdressers located in the Catskills of New York State during the 1960s. It was operated by a husband and wife, he, a crossdresser named Susanna and she, a famed wig maker from NYC named Marie. Before Casa Susanna, they ran a similar establishment, the Chevalier D’Eon Resort, which was also in the Catskills. Chevalier D’Eon Resort was the site of the adventures of Darrell Raynor, as documented in his 1968 book A Year Among the Girls. Raynor’s book was the first book I ever encountered on the subject of crossdressing. At the time, I was a teenager and it took three trips to the store before I got up the nerve to buy the book. I will never forget the smirk on the face of the saleswoman, who rang up my purchase. I wanted to hide under a rock, but instead I took the book home and read it from cover-to-cover that night. The book was such an eye-opener for a young tran like me. Back then there was next to no information available on the subject unless you frequented the right (wrong) bookstores or received mail wrapped in plain brown paper. So, I was amazed that there were adults dressing up and socializing as women! Raynor never mentioned the name of the CD B&B he wrote about, nor did he mention exactly where it was located, but he gave a few clues and my guess was that it was located in the Poconos of Pennsylvania. I was very surprised to learn decades later that the CD B&B was just a short trek across the state line smack dab in an area where I worked for a six-week stint way back when. During my six-week stay in Upstate New York, I visited the local lingerie shop and was fitted for a classic all-in-one by the older woman who ran the shop and knew her business. After the fitting, she was proud of her handiwork and commented that I had a great figure. I was running a one-person quick-print shop and next door was a dress shop also run by an older woman. After six weeks, we became friendly, but I did not take advantage of our friendship and ask to try on her wares because I was worried that the guy I worked for might find out. I filed Raynor's CD B&B in the back of mind. I came back to mind in 2005, when the book titled Casa Susanna came to be. According to Amazon, "Some time ago, while at a New York flea market, inveterate collectors Michael Hurst and Robert Swope discovered a large body of snapshots: album after aged album of well-preserved images, taken roughly between the mid-50s and mid-60s, depicting a group of cross-dressers united around a place called Casa Susanna, a rather large and charmingly banal Victorian-style house in small-town New Jersey [sic]. The inhabitants, visitors, guests, and hosts used it as a weekend headquarters for a regular 'girl’s life.' Someone—probably 'Susanna' or the matriarch—nailed a wonder board on a tree proclaiming it 'Casa Susanna,' and thus a Queendom was born. "Through these wonderfully intimate shots—perhaps never intended to see the light of day outside the sanctum of the 'house'—Susanna and her gorgeous friends styled era-specific fashion shows and dress-up Christmas and tea parties. As gloriously primped as these documentary snaps are, it is in the more private and intimate life at Casa Susanna, where the girls sweep the front porch, cook, knit, play Scrabble, relax at the nearby lake and, of course, dress for the occasion, that the stunning insight to a very private club becomes nothing less than brilliant and awe inspiring in its pre-glam, pre-drag-pose ordinariness and nascent preening and posturing in new identities. It is not glamour for the stage but for each other, like other women who dress up to spend time with friends, flaunting their own sense of style. There is an evident pleasure of being here, at Casa Susanna, that is a liberation, a simplification of the conflicts inherent in a double life." For more information about Casa Susanna, I invite you to read Zagria's blog post on the topic, which was the source of some of the history mentioned above. printing business in Manhattan, I found 42 nd st. There was a book store called the Keystone that sold all kinds of Drag & Crossdressing- Female Impersonator Mags. I had to build up courage to buy them. I never heard of the book; A Year Among the Girls, but I do know about the inherent conflicts of leading a double life, I've lived mine since I was a preteen. I'll have to check for the book. 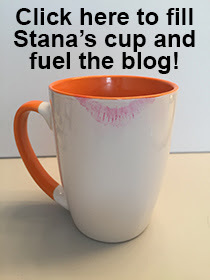 Thanks for the great post, Stana. I've now seen several pictures from Casa Susanna and one of the things that's struck me is how relaxed the girls in the picture are. For many of them, it must have been so wonderful to find others like themselves and a place where they could be themselves. Imagine how hard it was to get word of something like Casa Susanna out! Now you'd look on the internet, but outside of the professional drag community, how would anyone know, or even know to look for a wonderful place like that? For me, it would have been beyond my imagination. Pre-Internet, one had to find crossdressing information mostly in "alternative" newspapers or magazines. In my hometown, Philadelphia, there was such a paper called "Distant Drummer". It had ads and classifieds for all sorts of "alternative interests" (homosexuality, bisexuality, crossdressing, transgenderism, swingers, etc.). I got most of my early information from that paper, and even met a couple of other crossdressers through the classifieds. Philadelphia's "Distant Drummer" was their version of the famous New York City "Village Voice" paper. Thanks so much for the post on Casa Susanna. What a beautiful story. How marvelous it would be if there were a place(s)just like it today - I couldn't stay away! Maybe someone will read your wonderful blog and open up a modern-day Casa soon. I'm sure you will tell us all about it as soon as it happens! Bless You!